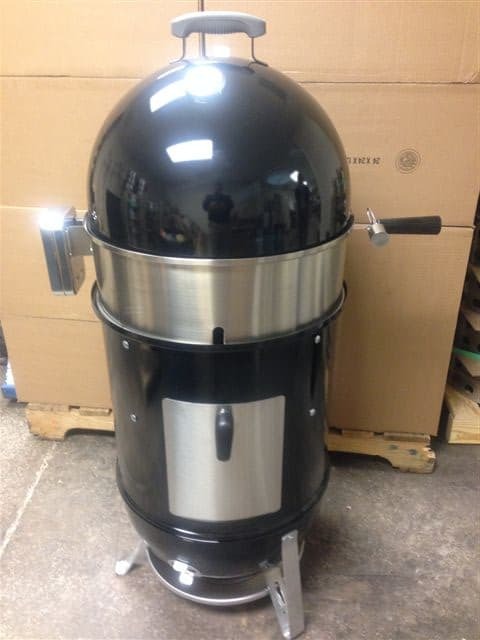 I was searching the Internet for cool accessories for the Weber Jumbo Joe and saw a “Coming Soon” banner on the Cajun Bandit website for a rotisserie and a stacker for 18.5 inch Weber charcoal grills. I shot an e-mail over to Chris Perres and asked him when these would be available. It turns out they are available right now and he just hasn’t had time to update his website! Chris was kind enough to send some pictures and a price list. 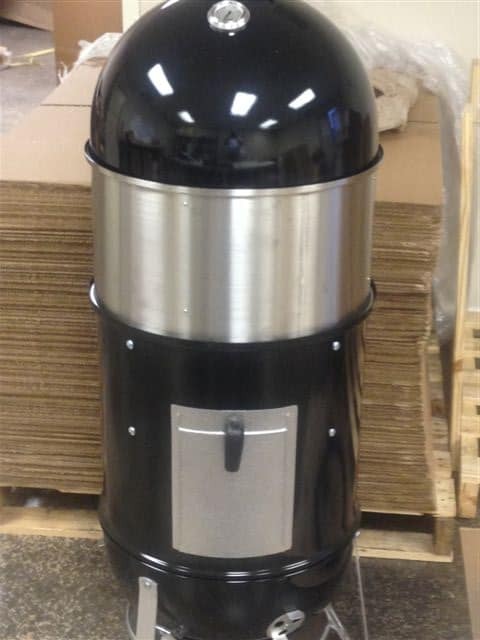 Both the stacker module and the rotisserie ring fir the 18.5 inch One Touch kettles, the 18.5 inch Weber Jumbo Joe and the 18.5 inch Weber Smokey Mountain. If you want to go crazy you can get both and place the rotisserie ring on top of the stacker. Insane!! 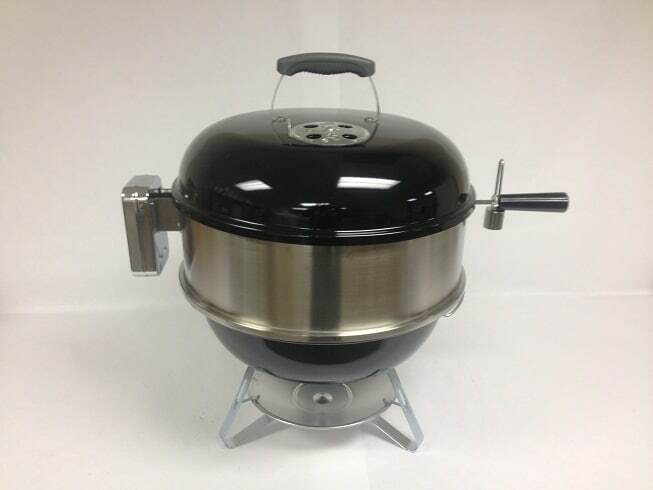 Here is the Weber 18.5 inch One Touch Silver with the Stacker, rotisserie and stacker/rotisserie combination. 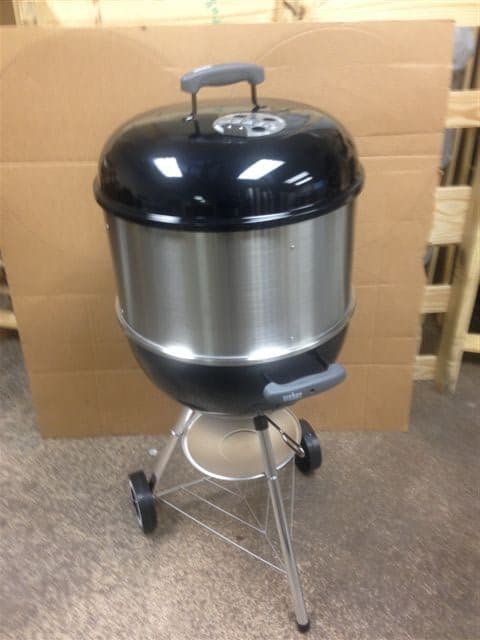 Here is the same with the 18.5 inch Weber Smokey Mountain! 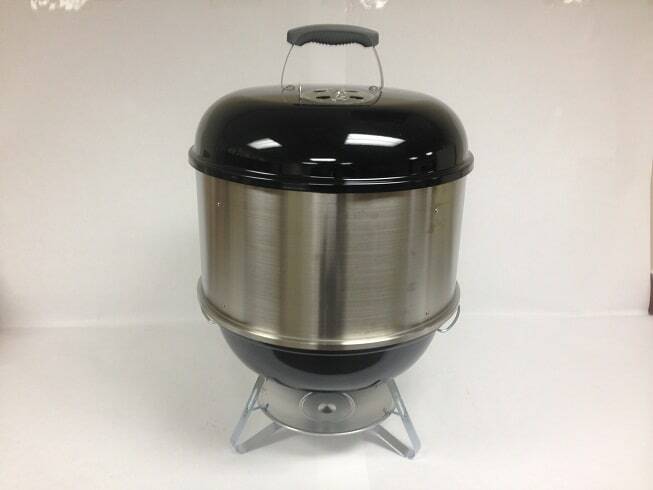 And last but not least…here it is with the Weber Jumbo Joe! This will be much studier than the extension modification I wrote about last year. 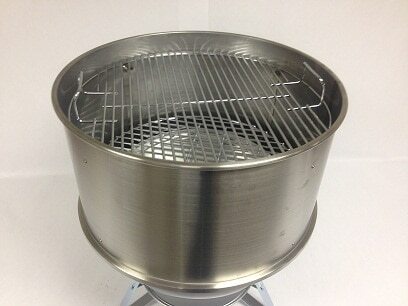 It also comes with an extra grate, heat diffuser and charcoal ring. 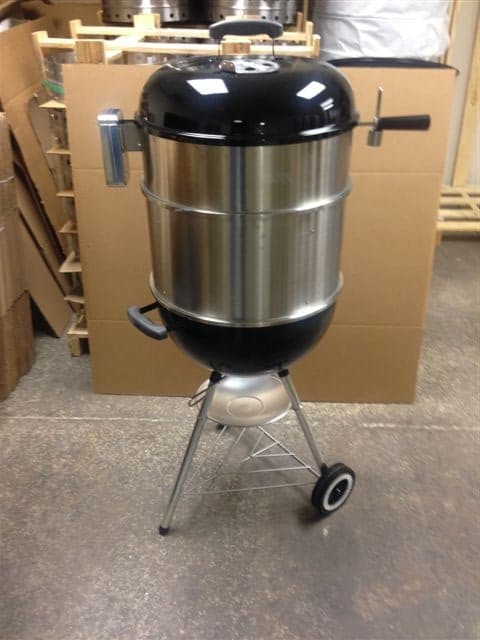 And here is the Stacker/rotisserie combo with the Weber Jumbo Joe! These kits include everything you need except two D cell batteries. 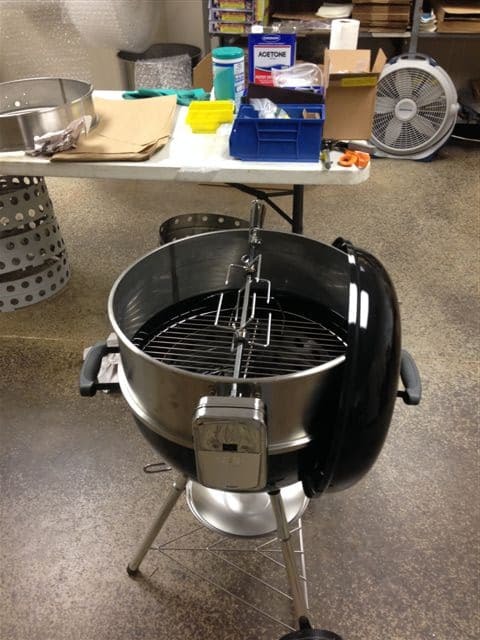 This kit includes ring, rack supports/hardware, 18″ cooking grate, coal ring and heat diffuser, and will convert a kettle or Jumbo Joe into a smoker. If these strike your fancy drop by Chris’s website and fill out the contact form to make an order! 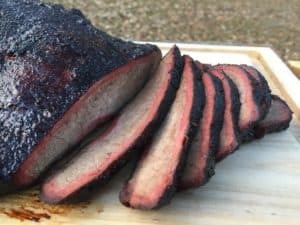 If you need some ideas on what to do with a rotisserie for your Weber then check out my Weber Rotisserie Guide! Great Post David. Cajun Bandit is one of my favorites and Chris is second to none. Thanks, Joe! I am having a great time getting to know Chris. 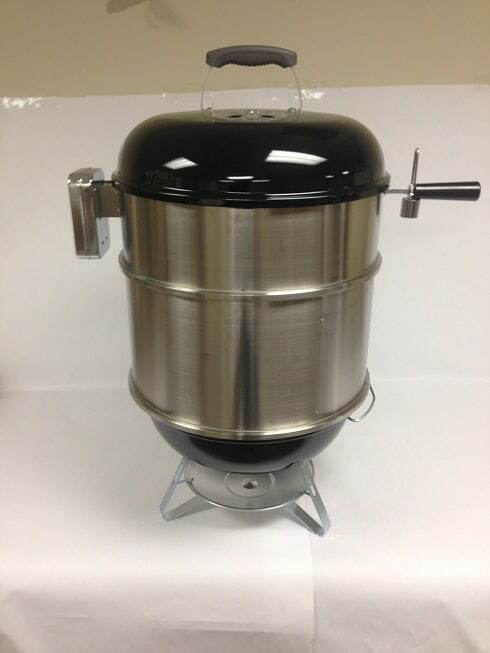 I’d like to smoke a turkey on the 18.5 Jumbo Joe rotisserie combo Cajun Bandit sells. Do you think there is enough clearance for a 12-14 lb turkey? I looked at mine last night. I don’t think there is enough dome clearance to do a turkey on the rotisserie. There should be enough space inside the extension ring with the rotisserie spit removed.